Posted November 22, 2015 at 6:44 pm . 23 comments. Photography Bay is reporting that Canon USA has sued two of the largest Canon grey market eBay dealers (GetItDigital and BigValueInc), seeking an injunction to prevent them from selling grey market bodies. You can read Photography Bay for the full details and a great analysis of the lawsuit. We think this is the latest salvo in a war against grey market. We’ll remark that the vast majority of our readers report a very positive experience with purchasing grey market bodies via eBay. Many readers are aware of the risks with grey market: lack of guaranteed Canon USA warranty; a third-party USA power cable provided (to replace a European or Asian cable); but otherwise, a brand-new body that was originally destined for another market. We think grey market dealers should be more transparent by clearly marking their goods as grey, stating all restrictions up-front, and stopping upsell calls. We do, however, see them as a valuable part of the Canon ecosystem. These dealers put pressure on the authorized USA market and keep prices in-check, so this action by Canon USA is cause for concern. We’ll continue to post deals from reliable grey market dealers via eBay, and continue to clearly spell out all the risks involved with grey whenever we post. We understand that grey market deals aren’t for everyone. If you’re still uncomfortable, we invite you to check out our street price program with authorized dealers, look at refurbished items from Canon USA, or wait for an advertised deal from a Canon USA authorized dealer. How did you get a warranty card on a grey market product? If you did get a warranty card it was not a U.S.A warranty card so it has no value, hints grey market. Party is over. 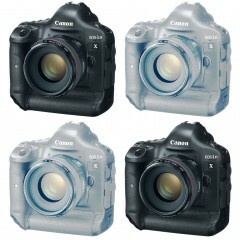 No more grey market canon products. I wonder if these stores will do big sale now to unload their stock. I hope they will …I trying to buy 5ds r…below $3 k…..OK boss,.there is another sheriff in this town….Canon usa rethink your prices, people in USA shouldn’t pay more for same product. Both of my bodies are from Getitdigital. Screw Cannon. Whatever. I bought a grey market 1DX new for $1000 less than a used USA non-import (at the time). As said so eloquently above, screw Canon. read this Kate Mckeown Simmons, some info. on grey market products. That said, it’s the grey markets that help keep prices competitive and gray markets have been going on for years… Will they be able to stop every seller? I don’t think so. If they’re actually doing the things Canon states in the lawsuit, such as manipulating serial #s or providing counterfeit accessories and photocopied manuals, then I can see Canon’s point. It makes them look as if their quality is seriously lacking. If they’re simply selling an identical import item to the US and supplying a decent quality power cable, then I can’t see the problem… which seems to be the case most of the time. I’ve never bought grey market before, but it seems like a pretty good deal on most gear… unless you get one of those shady nightmare companies. I dealt with Abe’s of Maine once and FINALLY got all of my order after about 3 months… that’s why I’m primarily an Amazon, B&H, or Adorama shopper for my gear now. The eBay grey market companies are much more reliable (due to eBay’s feedback mechanism). I would suggest avoiding any non-eBay grey market companies as most are bait and switch outfits. The one exception to this is Digital Rev, who are non-eBay and reliable. Canon is just getting greedy. They should really stop worrying about a few grey market sales and concentrate more on providing better value through their regular sales channel. Ultimately consumer seek value, few might seek a cheaper entry price as value while other might want better sales experience & added longer term support. Agreed. I thought the value-adds (1 year Lightroom, 13-month accidental damage warranty) were a step in the right direction and the best way to combat grey market. Agree..all Canon has to do is… Match their competition advertised Prices.. This means no more grey market deals for this black Friday.? From other sellers.? No nikon too?